Founded in the mid nineteen eighties as a neighbourhood construction company, BILOM GROUP has emerged over the last years of existence as one of the leaders in the real estate market, presently engaged in various large projects sited at prime locations on the island, proving year after year a spirit of innovation, dedication to our customers and a willingness to improve day after day. The company's full time staff is known for professionalism, confidentiality, integrity and commitment. While all of us have widely divergent backgrounds, all of us are highly experienced knowing not only our jobs but knowing the territory. People come to work at BILOM GROUP for it's reputation but stay for the high level of work ethic and the same reasons customers keep coming back: appreciation, deep embedded professionalism and integrity, special and detailed attention to each demand. We strive to exceed the needs of our customers, satisfy the investment aspect of the properties and provide the highest standard of quality. Our goal is to continue work for our customers at the high standards we set for ourselves, personalizing our services for each customer, adding new departments and services as the market changes and grows. Our quest for excellence continues. Integrity, trust, professionalism are not just words for us but the principles at the core of our business. T. Azzopardi Building Construction has over 14 years of experience, skills and dedication, which have been passed down from father to son for three generations. Modern tools and machinery have replaced traditional tools but attention to detail has been maintained throughout. We offer a wide variety of services, and our company is committed to our work and we ensure that we deliver the best quality work and accuracy with every project appointed to us. We are renowned for meeting deadlines as per the client’s request and guarantee customer satisfaction where value for money counts! Our aim is always to achieve a total customer satisfaction; we constantly promote quality and timely delivery using modern methods of construction, as well as attention to detail. A good site management practice is ingrained within the service offered throughout the works, and attention is paid to maintaining clean and safe site surroundings. T. Azzopardi Construction carries out various types of construction work such as building contracting, property development and restoration, civil engineering, concrete works and demolition works and crane hire. Due to its highly experienced employees, the company commits itself to both small and large-scale projects varying from construction of dwellings to commercial and residential developments. The company owns a vast range of heavy machinery including trucks, cranes and tower cranes (up to seven storeys high), which makes it more efficient and able to have competitive prices. We accept both domestic and commercial contracts for both Maltese islands. No job is too large or too small for us! Established in 2006 by Mr. Alex Aquilina, AA Construction Works has been delivering quality masonry work for over a decade. With a team of 8 professionals with expertise in various areas, with a shared experience in masonry work, we strive to better our employees by emphasizing on constant training and safety for all employees. This extra precaution and care is always reflected in the positive satisfaction from the client with the end result. We specialise in various areas relating to construction work, with an extra emphasis in: Building Construction Civil Engineering Contractors Building Alterations Pool Contractors Turnkey Projects Concrete Laying and Finishing Hard Landscaping All types of Excavation Work Demolition While still a relatively small company, many people can vouch that our undertakings and past projects have been extraordinary. This has helped the company to be more focused on what we do and we are very proud of our achievements. Our aim is always to achieve a total customer satisfaction; we constantly promote quality and timely delivery using modern methods of construction, attention to detail, safety and value-for-money. Contact AA Construction Works today for a free consultation. 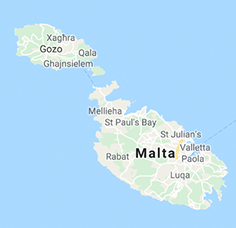 Founded in the peak of vacation property letting in Malta, Valletta Collection is family owned and operated, offering property management services and vacation homes located on the beautiful island of Malta. Located in the centre of the Mediterranean, Valletta (or Il-Belt), is the tiny capital of the Mediterranean island nation of Malta. The walled city was established in the 1500s on a peninsula by the Knights of St. John, a Roman Catholic order. It’s known for museums, palaces and grand churches. Baroque landmarks include St. John’s Co-Cathedral, whose opulent interior is home to the Caravaggio masterpiece “The Beheading of Saint John.” The owners of Valletta Collection have a combined experience of over 30 years in property management services together with decades of experience in Finance, Taxation and Property Investment which gives them the edge over their competition as they can help you with your letting and buying experience making it stress free to rent or own a property on the island. All of our rentals are recently converted properties in Valletta set in Palazzos dating back to the knights of St John who established the city in the 1500’s. The buildings are steeped in history and have been expertly converted to give you all the modern conveniences whilst retaining the charm of of the century they were built in. Valletta Collection rentals are all luxuriously furnished and equipped with all the necessities you may need for your holiday or business trip in the historic capital city of Valletta. If you choose to buy a property in Valletta, we will help you through all the process – from finding the ideal home to handing you the keys. What could be easier? Take a look at what is offered, then just drop us a line with your requirements. As experts in the Valletta Market, we can confidently say that you will not be disappointed.